When it comes to doing up your dining room, there are so many big and small decisions one needs to make. 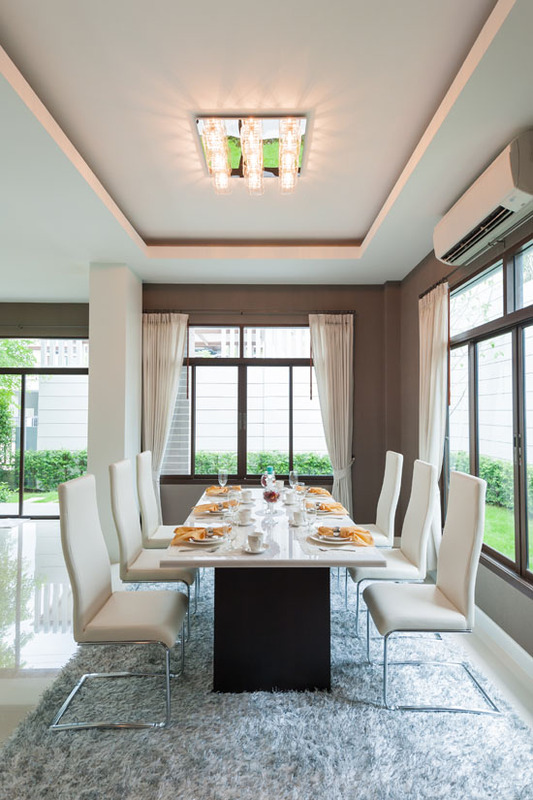 Apart from dining room furniture, one needs to think about size of the room, type of lighting fixtures that complement the interior setting, type of flooring and wall colors, and the perfect placement of furniture. 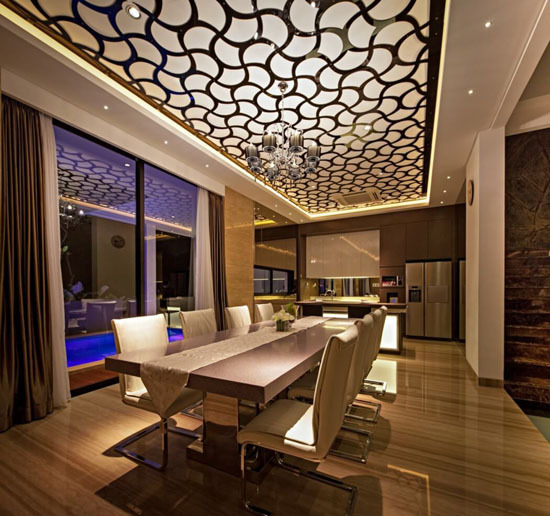 So, while giving your dining room a makeover let your imagination go wild and creative. Think of adding a color to the room, which gives it a touch of vibrancy and vigor. 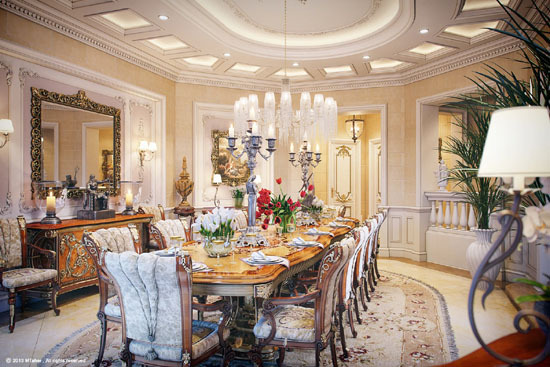 Let your creative juices flow for some of the best luxury dining room design ideas. In this article we will discuss 35 luxurious dining room ideas that will help you to design your dream dining room. 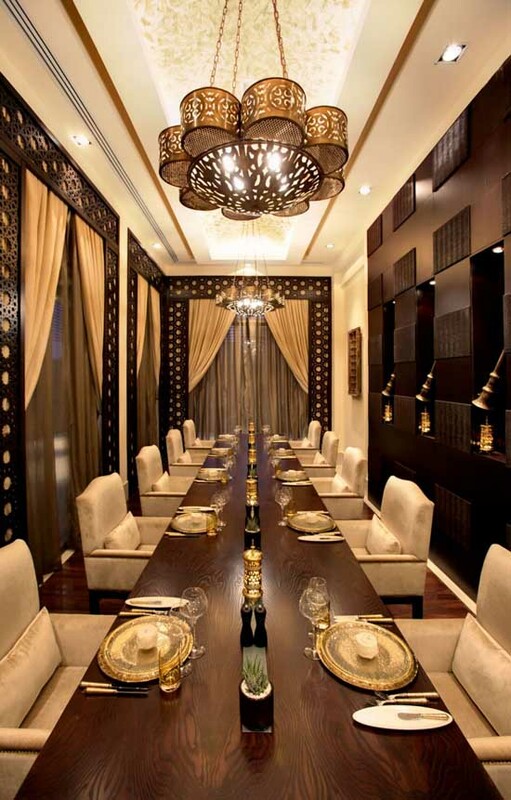 We bring for you different types of beautiful luxury dining rooms; from bright to dark, traditional to modern and large to cozy. 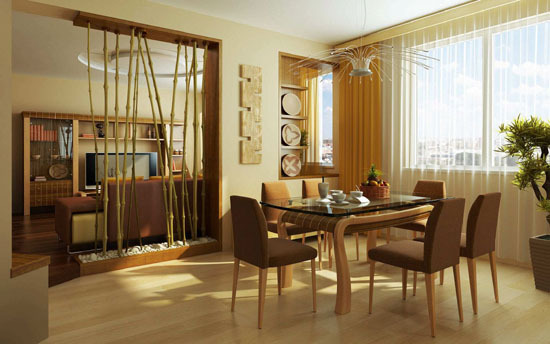 A bright dining room will include great natural source of light including balcony doors, French windows and more. 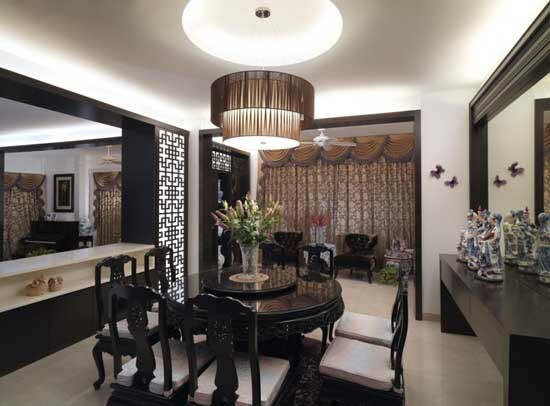 Enhance the dining room with a contemporary or traditional lighting fixture which blends with your dining room interiors. 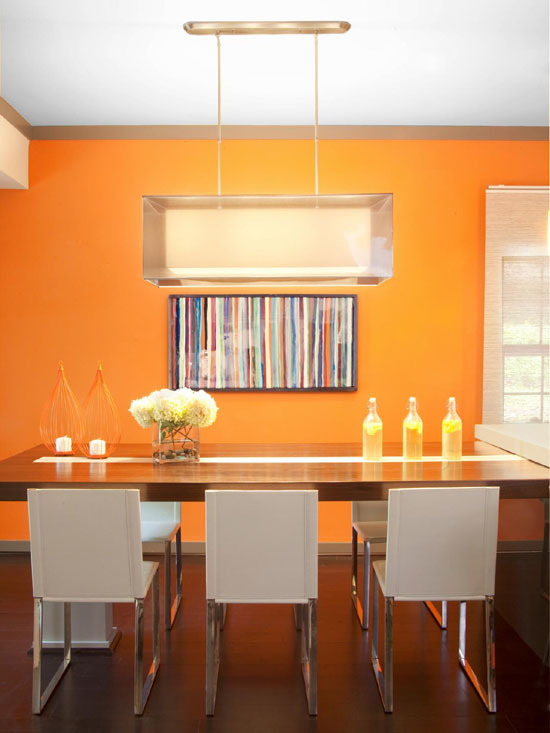 Add a splash of color to the room by painting a wall orange or cool green, or another way to add color to your dining rooms is to bring in colored upholstered dining room chairs or luxury dining room tables. This brings in liveliness and brightness to the room. Some other dining room design ideas are to decorate the dining table with floral centerpieces. 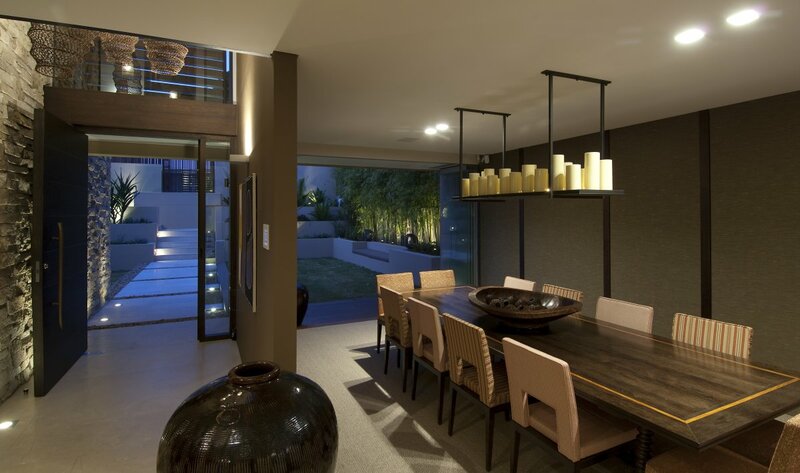 A dark dining space is a room that doesn’t have a natural source of light. Many people think that a dark dining room would not be as interesting as any other dining room layout. 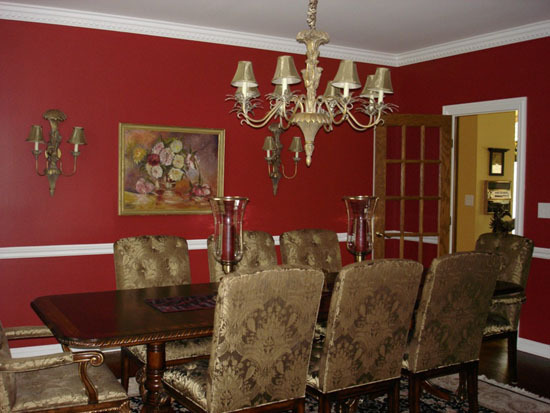 A dark dining room is completed with gray and red colored walls. 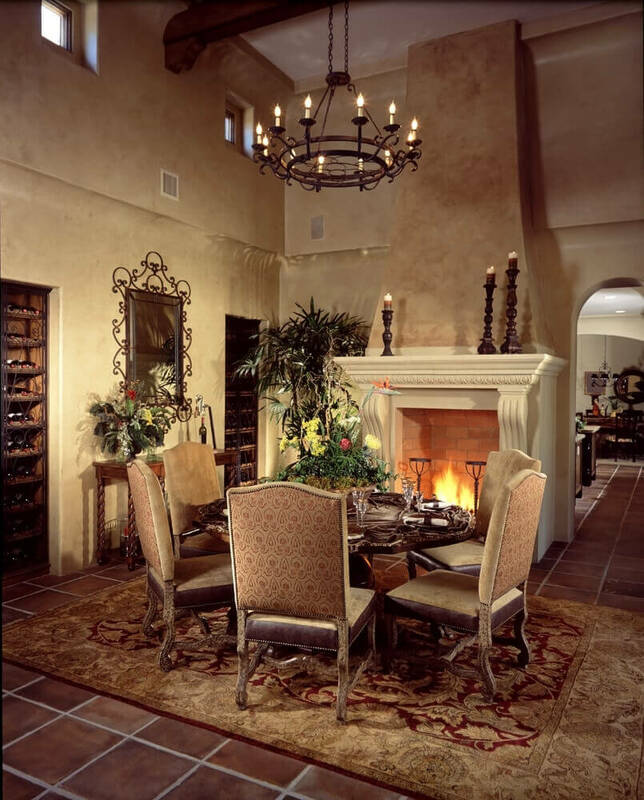 Another great example of dining room design ideas is to convert your fireplace area into a formal dining space. 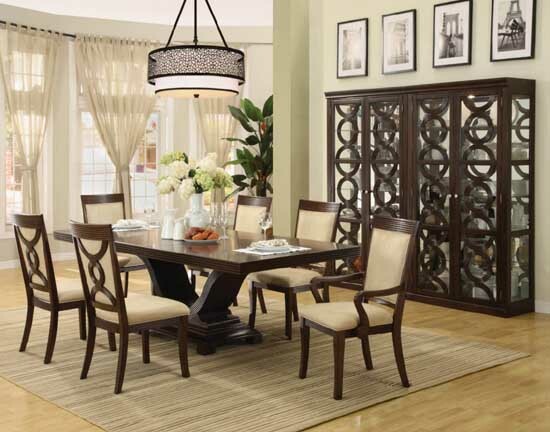 Giving it a cozy and stylish feel gives the dark dining room space a classy feel. 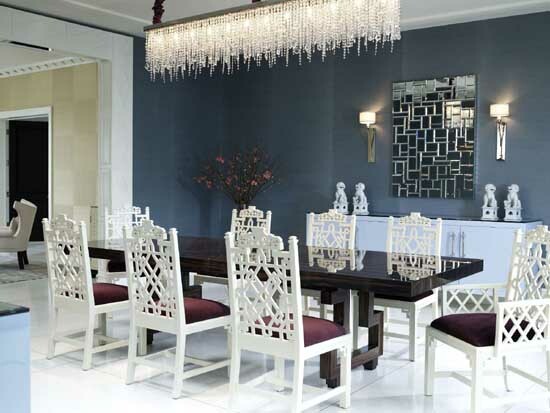 Spruce up luxury dining rooms in a dark space by adding colorful chandeliers or lighting fixtures to the room. 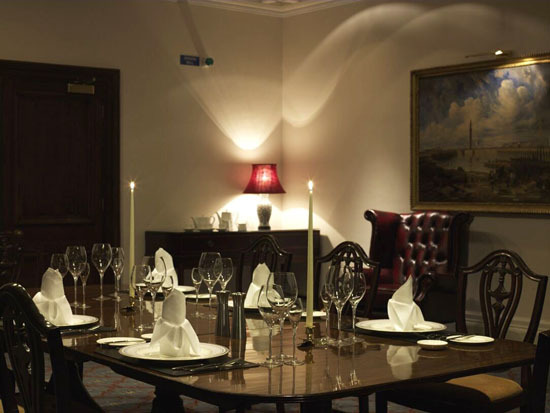 This type of dining space makes it an excellent choice to have a romantic candle light dinner with your partner. 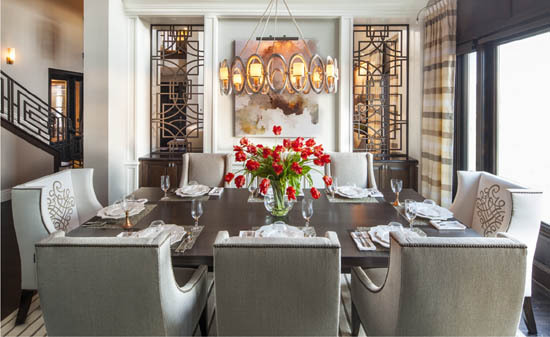 A dining room space is where the entire family sits and enjoys a meal together every day. The first thing that comes to mind while thinking of dining room ideas is the comfort. 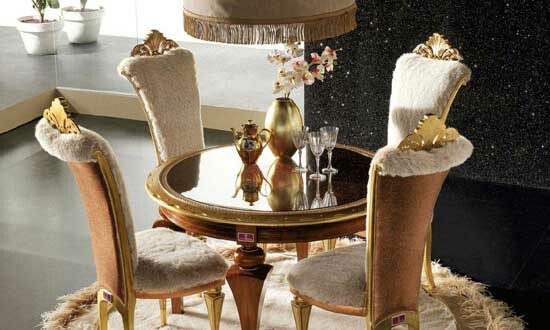 Luxury dining room tables and fixtures are important, however there should be no compromise on comfort. 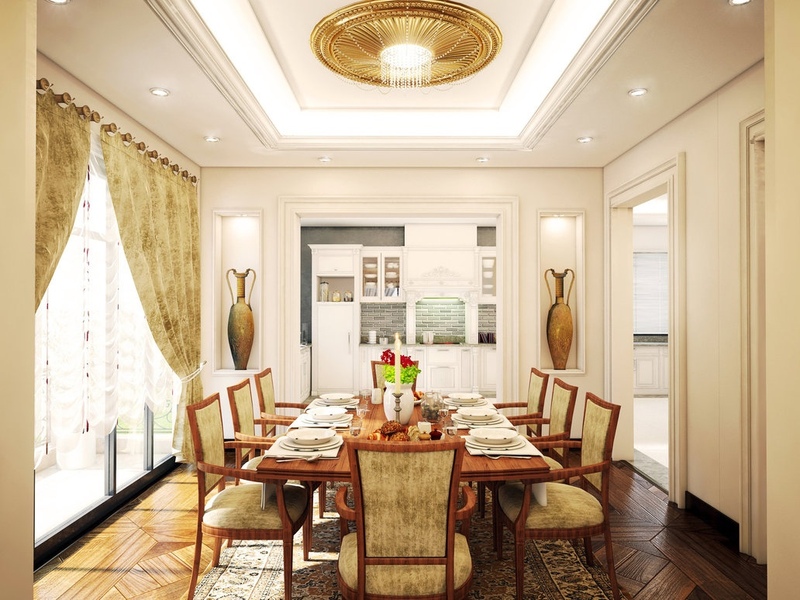 Along with a classy and opulent setting, it is essential that your dining room space is cozy for your family and friends. Some of the ideas for cozy dining room designs, formal or informal, are to decorate the room with an inviting decor. 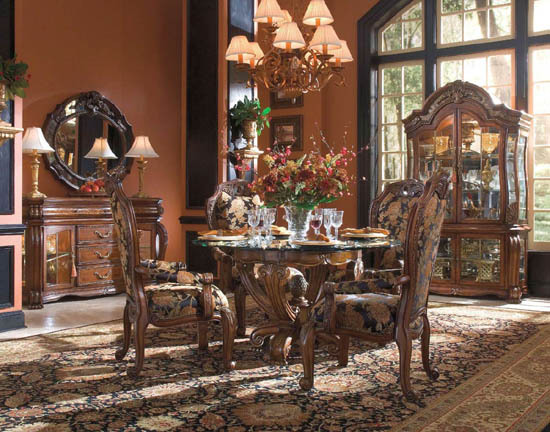 Fabric upholstered seating, gorgeous table runners, classy floor rugs and carpets make luxury dining rooms into a comfy and stunning dining space. 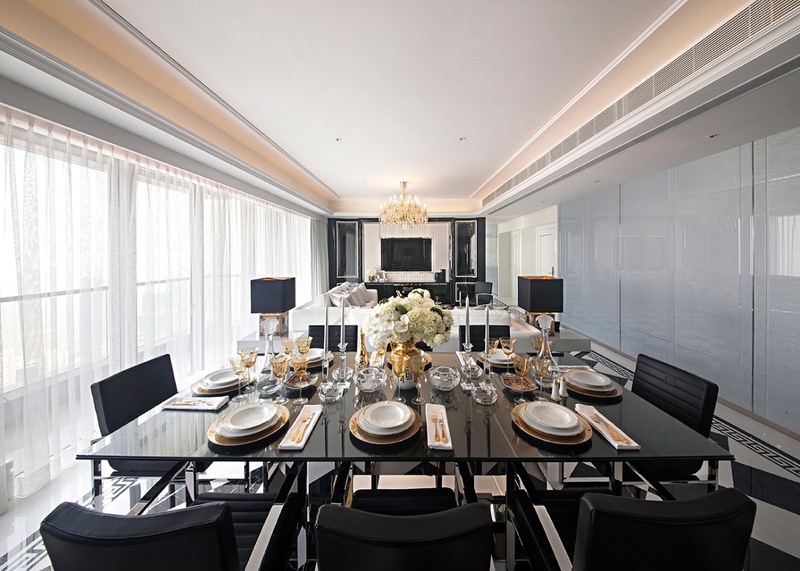 Most of the people redecorating their dining space are opting to use luxury dining room tables in a modern interior setting. 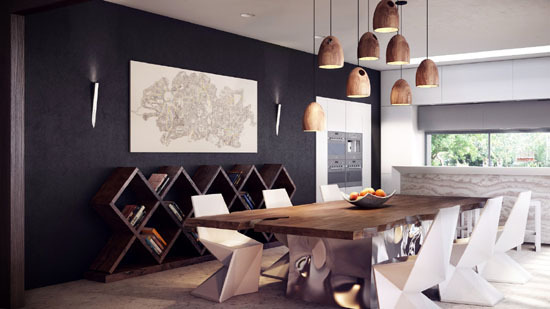 A contemporary dining room consists of modular furniture that is sleek and stylish. The use of trendy dining chairs, crystal lighting fixtures, English wall colors blend well in a modish dining room setting. 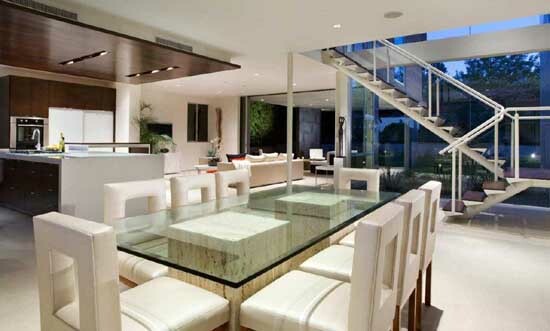 Below in the showcased pictures you can see different examples of luxurious contemporary dining room ideas. Whether it is a contemporary or a traditional dining room, we have some fabulous dining room design ideas for you. 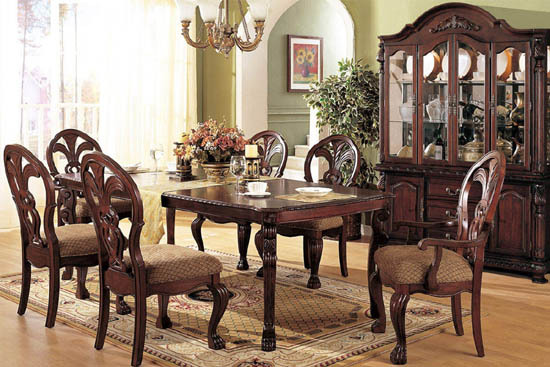 Traditional dining rooms usually have wooden furniture settings along with printed upholstered dining chairs. They come in an antique setting of carved chair backs and reddish mahogany wood. 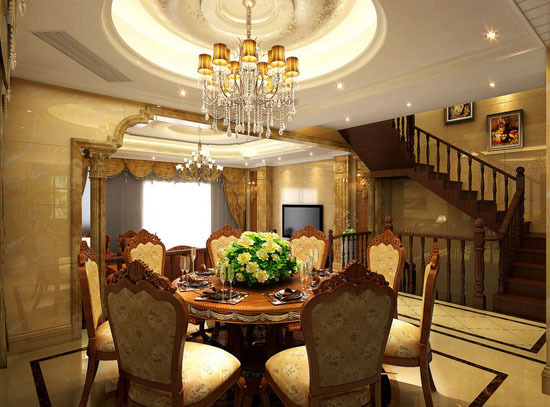 A traditional dining space also consists of wall lamp and chandelier fixtures. Floral arrangements for the table centerpiece are a perfect decor choice for a rustic dining space. 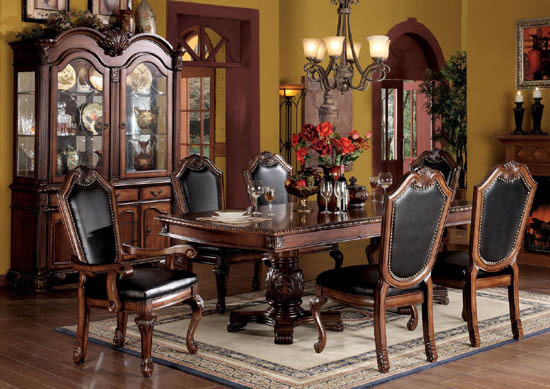 If you are looking at giving your dining space an antique and royal feel then the above dining room design ideas are the way to go. 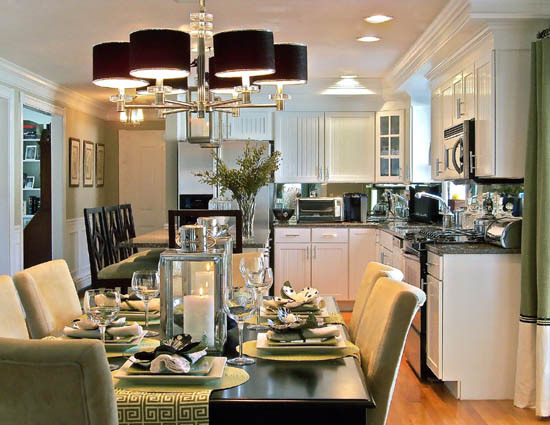 There are so many things that can go wrong while decorating a large dining space. Some people believe in adding too many elements in the room just because of the spacious design. However, the key here is to find the perfect balance between too less and too much while decorating your formal dining room. The images showcased below will highlight some great dining room design ideas for large spaces. Adding color to a large room is essential to give it a fabulous appeal. Enhancing the large table setting with some eye-catching and trendy centerpieces is great idea. 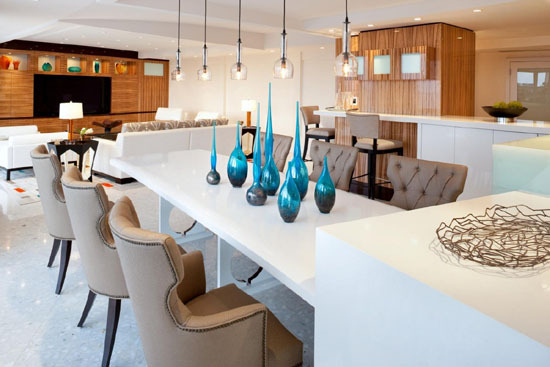 One can use colored vases, or a modern artistic centerpiece to make it the focus of the large dining table. Decorating luxurious dining rooms requires time and effort. It isn’t as easy as few people think. It needs attention to detail and some research. 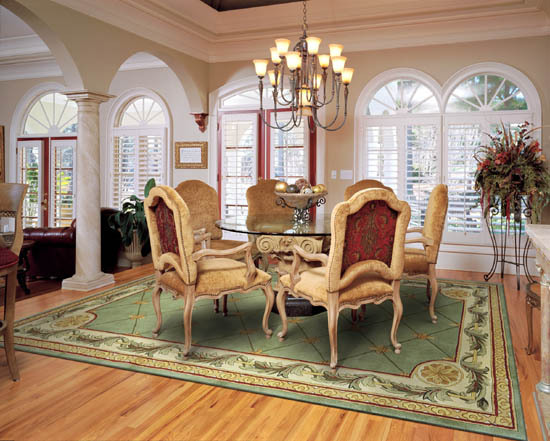 Before you decide on the type of dining room space you looking for do your research. Fix a budget and let your creative dining room design ideas run. 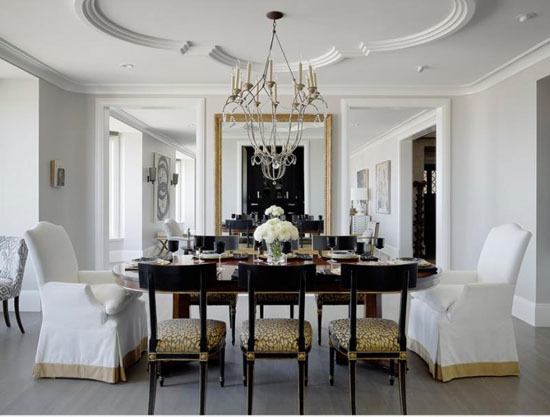 The above mentioned design ideas will provide you with that initial inspiration and decisiveness on what your dining room needs to be luxurious for your family and guests. So humungus List to chose an idea to decorate a bedroom… highly appreciated… Thanks…. 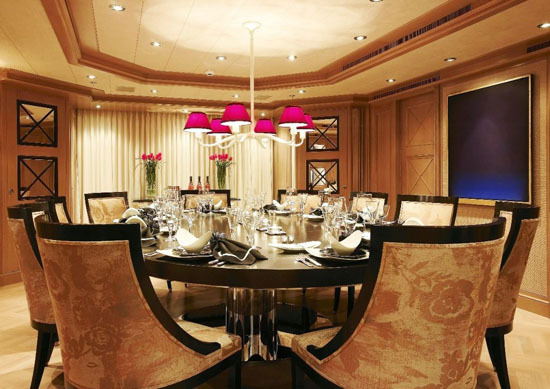 Those are some great inspirations for the dining room that defines luxury. We are in the process of redoing our dining and kitchen and this list has got some that I believe we could get inspirations from.